October 1, 2013 (Tokyo, Japan): Japan Display Inc. (JDI), a global leader in mobile display technologies, started shipment of 8.9-inch Wide-QXGA (2,560 x 1,600 pixels) low temperature poly-silicon (LTPS) TFT-LCD modules in September 2013. A 7.0-inch Wide-UXGA (1,200 x 1,920 pixels) LTPS TFT-LCD module has been in mass production since June, 2013. 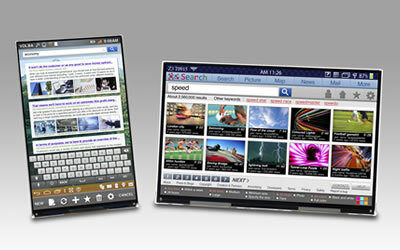 These high-resolution displays are capable of showing rich content with the highest pixel density among tablet displays. The tablet market is expanding rapidly nowadays. A high-capacity, high-resolution, low power consumption display is desired to create a device which can show large amounts of information on one page and with long battery life. To date, most conventional tablet devices have employed amorphous silicon (a-Si) TFT-LCD technology, resulting in displays with low pixel density, wide dead-band areas, and high power consumption. JDI's LTPS TFT-LCD technology has contributed to 40-50% less power consumption and about 30% narrower dead-band width compared to conventional designs for a-Si TFT-LCDs*. The 7.0-inch Wide-UXGA TFT-LCD has pixel density of 323ppi, and the 8.9-inch Wide-QXGA TFT-LCD is 339ppi. JDI's in-plane switching (IPS) technology realizes wider viewing angles, a higher contrast ratio and less color shift. The combination of IPS, high-resolution and high brightness of 500cd/m2 contribute to clear and vivid images for small fonts and high quality pictures. Since there are fewer LCD drivers, JDI's LTPS TFT-LCD technology contributes to 70-80% less power consumption of the LCD driving system than conventional designs for a-Si TFT-LCDs*. JDI's unique high-transmissive pixel design minimizes backlight power consumption by approximately 40% less compared to conventional designs for a-Si TFT-LCDs*. JDI's LTPS TFD-LCD technology is able to achieve about 30% narrower dead-band width than conventional designs for a-Si TFT-LCDs*. 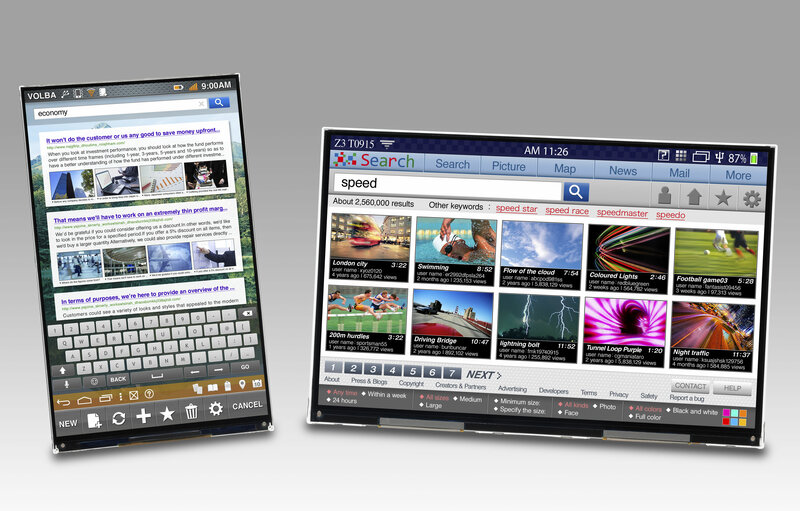 A large display within a thin device can be realized for easy portability. We will exhibit these displays in Japan Display Inc. booth on October 23 to 25, 2013, during FPD International　2013 in Pacifico Yokohama, Japan.